If you suffer from chronic acid reflux and are concerned about side effects from long-term use of acid-blocking drugs, you may be seeking natural remedies. DGL licorice is one herbal solution recommended by many practitioners of alternative medicine. The DGL stands for deglycyrrhizinated licorice, which is a version that is processed for safer consumption. Unfortunately, lack of standardization makes scientific research on herbal remedies extremely difficult to interpret, and there is little research pertaining specifically to DGL licorice and acid reflux. However, reviewing available information about DGL licorice may help you make more informed decisions in managing your symptoms. Licorice must be approached cautiously because it contains the active metabolite glycyrrhiza. In large quantities glycyrrhiza can cause a syndrome called hyperaldosteronism, which affects the adrenal glands and can cause numbness, high blood pressure and muscle weakness. This substance has been extracted from DGL. Licorice is a food supplement approved by the Food and Drug Administration that is used in many products, though regulations to prevent toxicity are vague. It is sold commercially in the form of chewable tablets, extracts and tinctures, and teas. Note that teas and other licorice products labeled “organic” may not be deglycyrrhizinated. Licorice (Glycyrrhiza glabra) has been valued for its culinary and medicinal properties since ancient times and has been used to treat a variety of maladies in both the East and West, from colds to liver disease. Its ancient reputation as a folk remedy for gastric problems does have a scientific basis. This is especially true for functional dyspepsia, a condition that frequently overlaps with acid reflux. Like acid reflux, it presents symptoms of pain in the upper abdomen, discomfort, burning and belching. Iberogast, or STW 5, and GutGard, two products whose primary ingredient is an extract of DGL licorice, have been shown to relieve symptoms of both dyspepsia and acid reflux; however, these products have many other ingredients. Inflammation of tissue in the throat and esophagus burned by acidic stomach contents is part of what makes chronic acid reflux painful. Licorice has also been shown to reduce stomach acid and is known for its antiinflammatory effect of stimulating the production of cortisol, the body’s own natural antiinflammatory steroid, which theoretically could help heal esophageal inflammation caused by acid reflux. In an animal study, licorice was shown to be as effective as famotidine (Pepcid) in protecting against ulcers and as effective as certain nonsteroidal antiinflammatory drugs in reducing inflammation. However, because glycyrrhiza is believed to be the ingredient in licorice that that stimulates cortisol, DGL licorice may not have the same antiinflammatory properties. 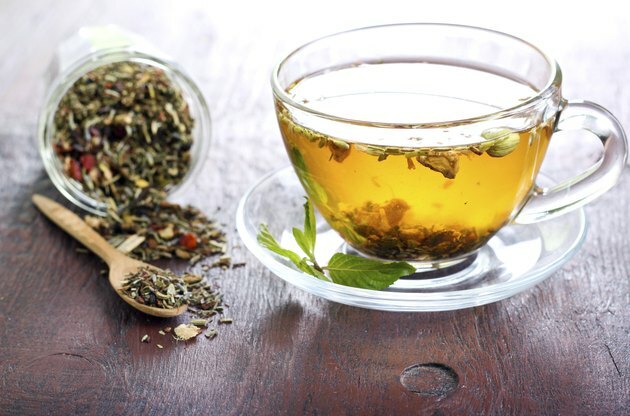 There is increasing scientific interest in herbal medicine; however, the lack of standardization of herbal ingredients limits the conclusions that can be drawn about particular preparations. Many herbs have always been valued for their medicinal properties. On the other hand, many herbs are unknown quantities to modern science, having potential for drug interactions and other untoward effects. Chronic and severe acid reflux can have serious complications. If you are experiencing symptoms such as hoarseness, chest pain or chronic cough, consult a healthcare professional to determine the best course of action.